The Llandaff Cathedral also houses the famous Llandaff Cathedral choral society, which was formed in 1937 to supplement the Cathedral Choir on special occasions. 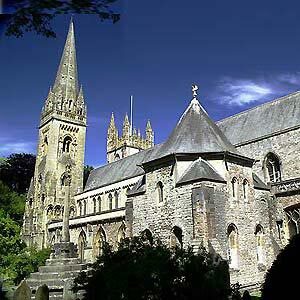 The Llandaff Cathedral offers a full program of services, concerts and events throughout the week, and the cathedral is open to visitors daily. Sunday Eucharist and evensong are at 9 am and 6:30 pm respectively.